Working towards correctly forming letters takes practice and patience. It’s not a skill that’s learned overnight, so making it fun is important. 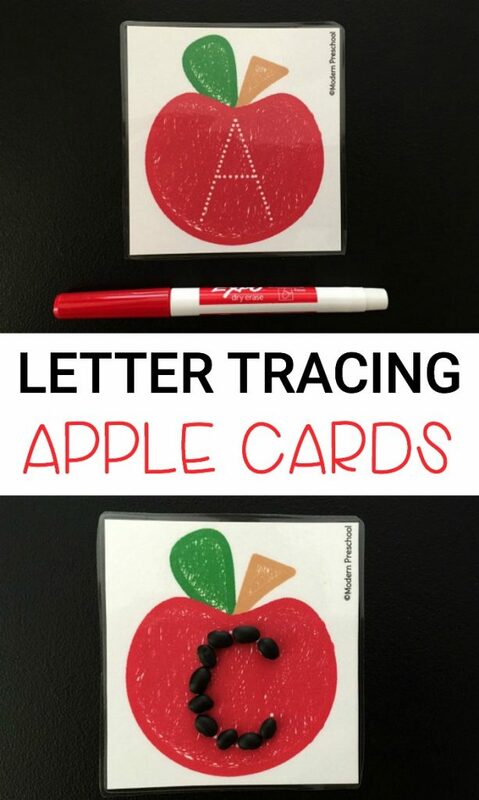 Instead of just using worksheets to practice writing letters over and over again, writing activities like our tracing letters printable apple cards can help keep young learners engaged. These writing practice cards fit perfectly into any apple theme! This tracing letters printable set includes 26 apples. Each apple has one uppercase letter printed on it in dotted lines. Print out the set and cut each card out on the gray dotted lines. Or if you are extra motivated, cut out each apple! Laminate the apples. If you do not have access to a laminator, try the dry erase pouches. I found some in the dollar spot at Target, but that section has been picked through and I haven’t seen them again. 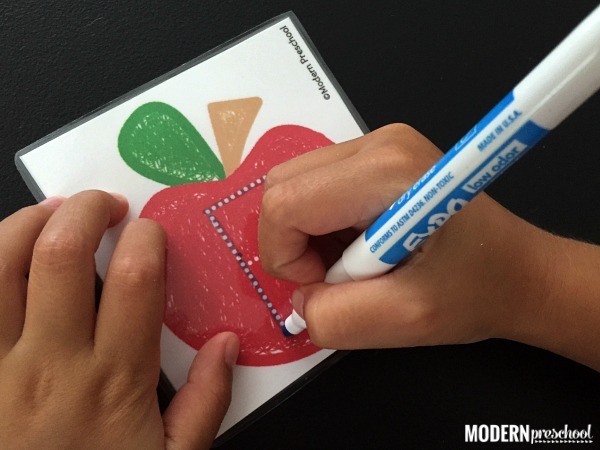 For this activity, the goal is to trace the letters on the apples. Using a dry erase marker (I’m loving this washable set from Crayola! 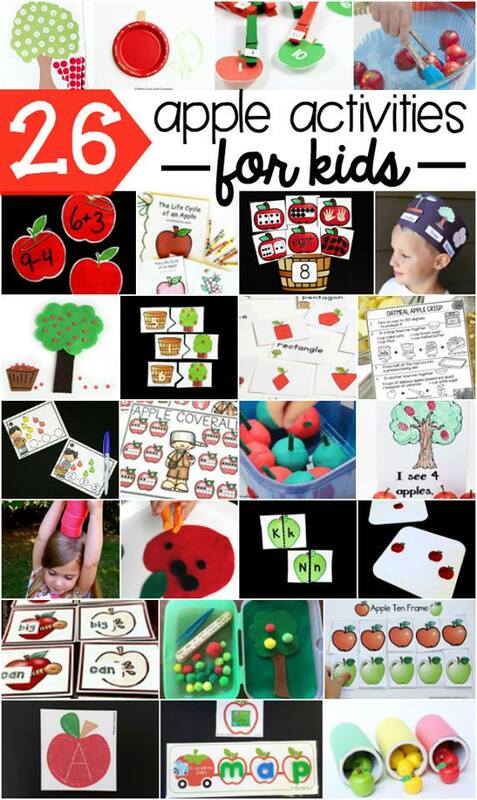 ), preschoolers and kindergarteners can practice tracing the letters on each apple. While the goal is to trace the letters, reminders of how the letters start from the top and go down are helpful. In my own preschool classroom, I use the phrase, “build letters” a lot. Most of my preschoolers are still 3 years-old, so holding a writing instrument is tricky for some. 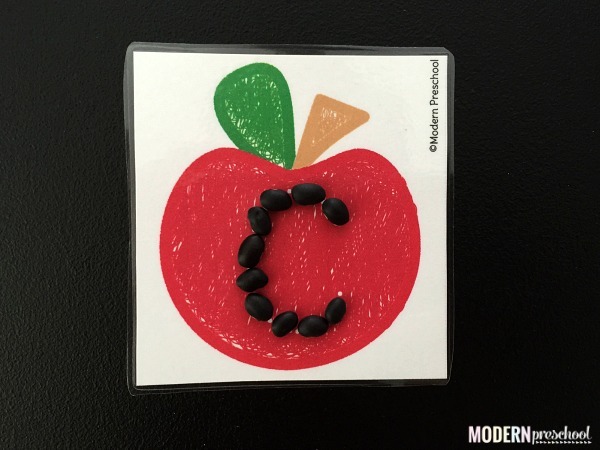 So instead of tracing the letters with a dry erase marker, trace the letters with apple seeds! I found a collection of apple seeds in my pantry from last year when we were counting apple seeds. Let’s just say that apple seeds don’t keep as well as pumpkin seeds! I’ll be collecting a new set for this year, but dried black beans worked just as well. Apples are one of my favorite themes! Maybe it’s the time of year…cider, donuts, apple pie…but apples and little kids mix well. 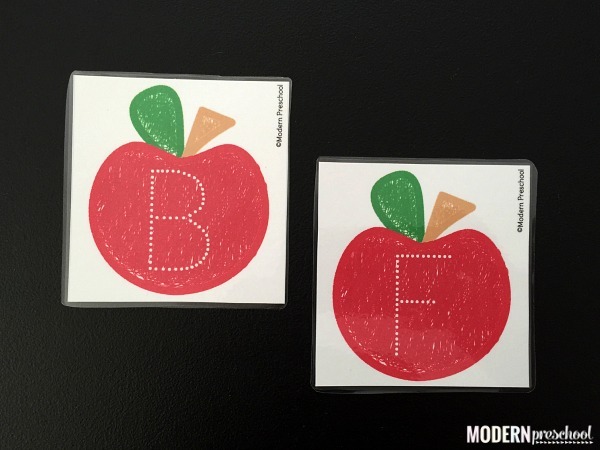 You can find even more apple activities that have been kid-tested (and loved) here!